A few years ago, my parents took me on a once in a lifetime holiday to Orlando, Florida and it truly was the most spectacular holiday I had ever been on. Before visiting, if you would have talked to me about Orlando I wouldn't have had a clue where you were talking about, and if you mentioned Florida I probably would have told you about Walt Disney. However, as I was quick to discover, Florida is an awfully large place, and as for Orlando there's more there than just Disney and Universal. So, visiting Orlando made me want to go back again, but coming from a small family we couldn't afford another visit, hence making it a trip of a lifetime for us. A few years later when I discovered I was pregnant I vowed I would take my child who was yet to be born to Orlando, Florida one day. As I remember the struggle of the cost for my parent's I then rectified this to say when our family was complete we would go to save lots of expense. 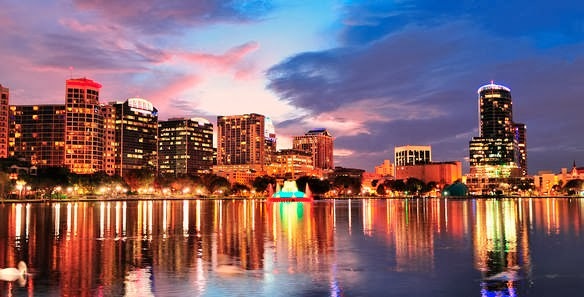 Recently I stumbled across a website called Travelbag, who have some fantastic offers available when booking holidays to Orlando, Florida, and other destinations. Travelbag offer tailor-made holidays at unbeatable prices, because of this they have become a highly established company. To me this hopefully means as a family we will be able to take Jack to the US sooner than I originally thought and can maybe make more than one trip out there. I have so many amazing memories from our trip to Orlando, not just from visiting the theme parks but also from the other amazing adventures we got upto whilst we were out there. I now have little things that can remind me of this holiday more than I remember some other amazing holidays I have been on. Orlando, Florida is definitely somewhere I would recommend people visiting, especially those with children. I have only 305 days till we make our trip as a family, I love Florida it is something magical. Hope you are able to take your boy, as I too vowed that we would take ours and I think he loves the place as much as us! We took our son when he was just 9 months old and loved it! We have another trip planned for 2015 and can't wait.